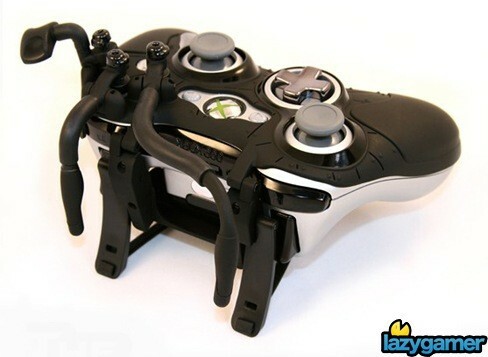 Is this the most awesome (weirdest) Xbox controller ever designed? Sometimes, no matter how much you practice,you’re always going to need that extra little advantage in order to gain an edge over your gaming opponents.Sure, you could inject steroids into your thumbs and take mind-altering performance enhancers in order to hone your reflexes,but thats a bit on the constantly pricy side. What you need is a controller that allows for faster and more intuitive responses. Which is why we have this, the N-control Avenger. 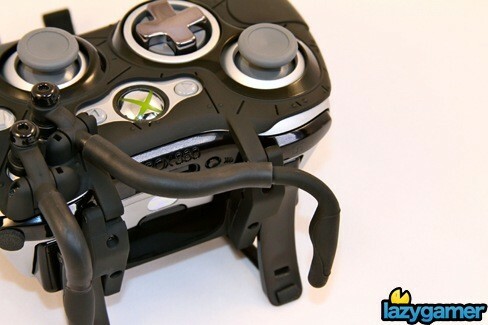 No, before you ask ,this Xbox controller hasn’t been taken over by the Borg. Its an outer shell that you can buy and clip onto your gamepad, and it can â€œimprove your situational awareness, accuracy, agility, and reaction timeâ€, according to the developers at least. Apparently,the tentacles levers that are positioned around the face buttons make selecting and reloading a quicker and more natural experience when gamers flick them during sessions. Endgadget rounded up a few gamers and forced the controller on them, and while they confirmed that it was indeed awkward getting used to it at first, after an hour their gameplay sessions felt more natural and comfortable as well. Its only a shell for the Xbox controller at the moment, and it costs a pretty penny – around $50 for it, minus shipping.